Chinese smartphone maker Xiaomi has announced its first phablet. Called the Redmi Note, it is set to be the largest Xiaomi smartphone to date, and further expands the company’s lineup of devices. 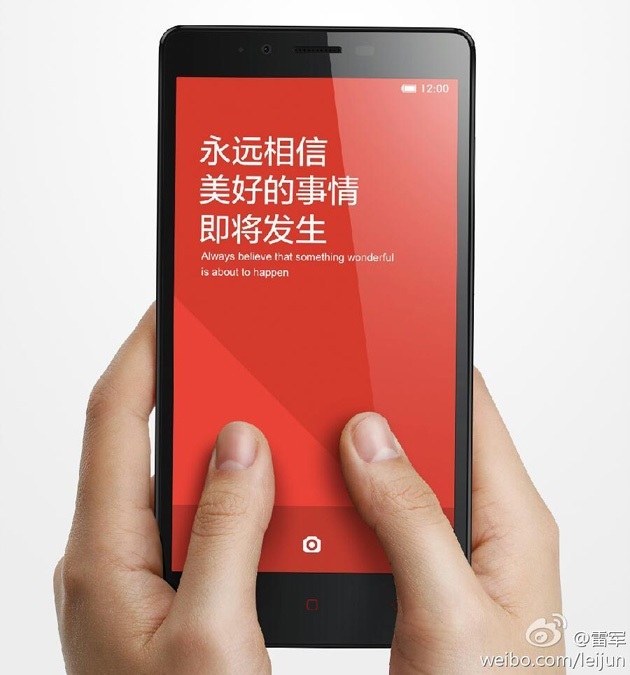 The Redmi Note is a larger variant of the cheapest Xiaomi smartphone, the Redmi. Unfortunately, not much else is known about the phablet, besides the 5.5-inch 720p display and MediaTek MTK6592 octa-core processor. And, judging by the teaser image published by Xiaomi CEO Lei Jun on his Sina Weibo page, it’s huge. Interestingly, Xiaomi is not only holding back information about the Redmi Note’s price, but it’s also teamed up with another Chinese company, Tencent and its Qzone app to allow interested parties to guess the retail price of the device. 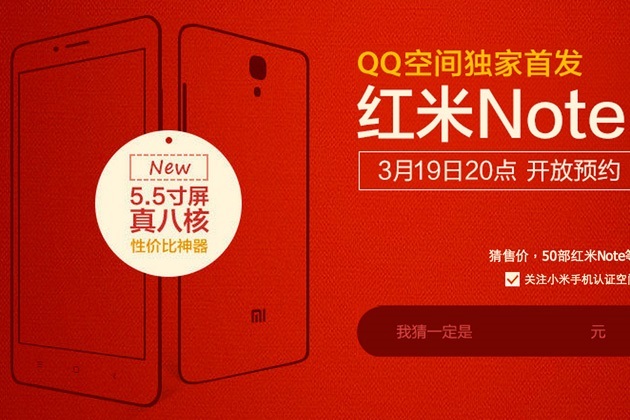 Fifty units of the Redmi Note will be given away to winners in China who gets the price right, while the rest can pre-order the device exclusively with Qzone from March 19. The Xiaomi Redmi Note will be officially launched in China from March 26, and will likely join its smaller sibling out into international waters.